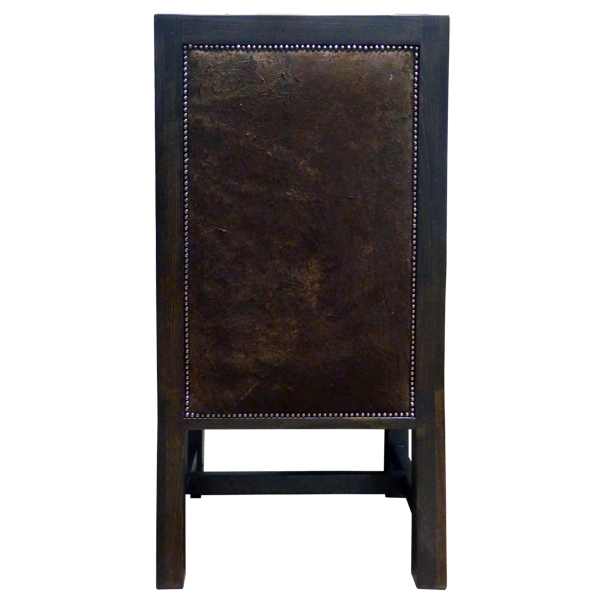 With its beautiful, solid wood frame and lovely combination of blue and brown leather upholstery, this handcrafted chair will enhance your existing home décor. 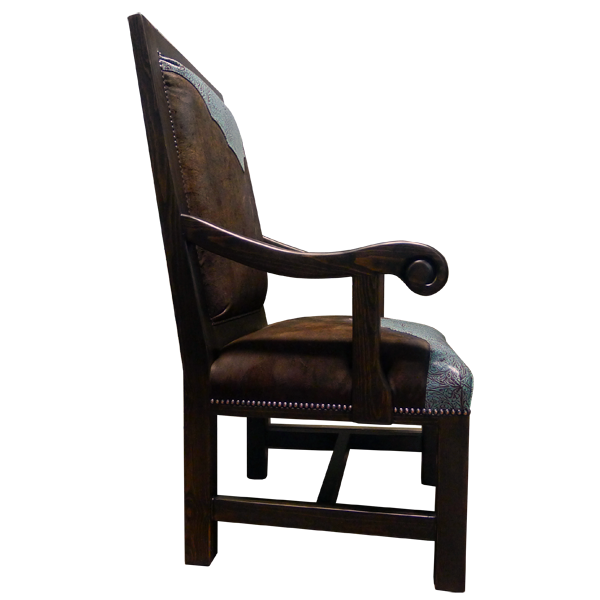 The upper seat, the lower inside seat back, and reverse seat back are upholstered with rich, brown full grain leather. 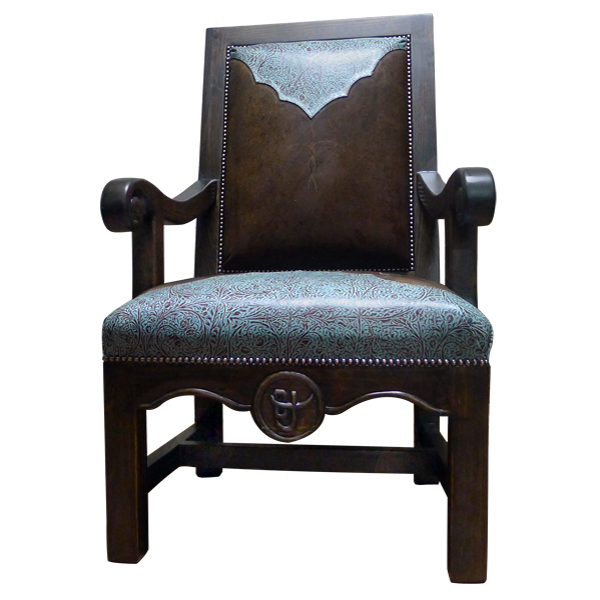 The lower seat and the upper seat back are upholstered in blue, embossed full grain leather with a Western cut design. Decorative nails adorn all sides of the seat and the seat back. 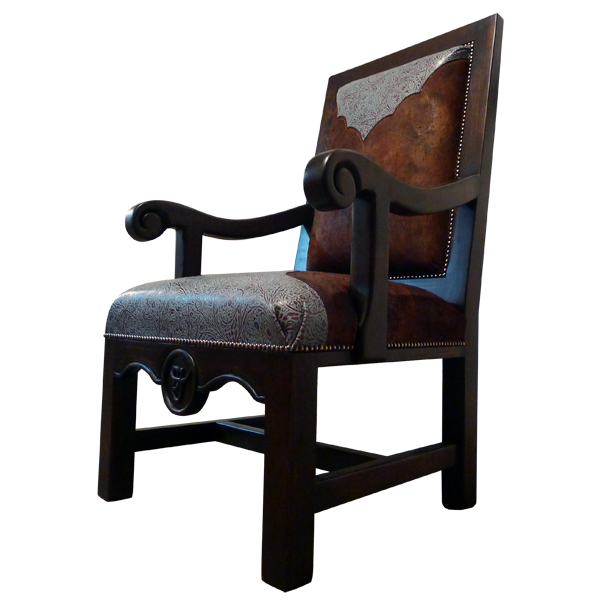 The armrest are beautifully curved and end in a hand carved scroll design. The front apron has a hand carved sphere where your initials or ranch brand can be engraved. The chair rest on straight, solid wood legs, joined by an “H” stretcher. Both beautiful and durable, the chair is made with the best, sustainable wood available. It is 100% customizable.